Random And Some: "Every product, every service, every feature and every benefit is open for improvements"
"Every product, every service, every feature and every benefit is open for improvements"
This week in Seillans I read Seth Godin's Free Prize Inside (2004). Godin offers tons of free insights about business and marketing on his blog, but the marketer extraordinaire doesn't stop there: his ebooks, seminars and books are true gems. With Purple Cow (2003), Small is the New Big (2006) and The Dip (2007) under my belt I have read just a fraction of his bibliography, but they were all very much worth my while, and I plan on reading his other work, too. When I stumbled upon Free Prize Inside in Barcelona this July, I picked it up without hesitation. With advertising no longer effective (buying attention doesn't work) and hardware innovations expensive and thus risky, Godin argues that "soft innovations" are the way to go. Being remarkable doesn't have to be expensive or complicated. 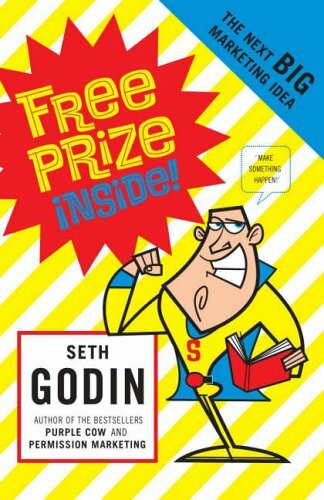 Free Prize Inside is an easy and actionable book for entrepreneurs and large businesses alike.